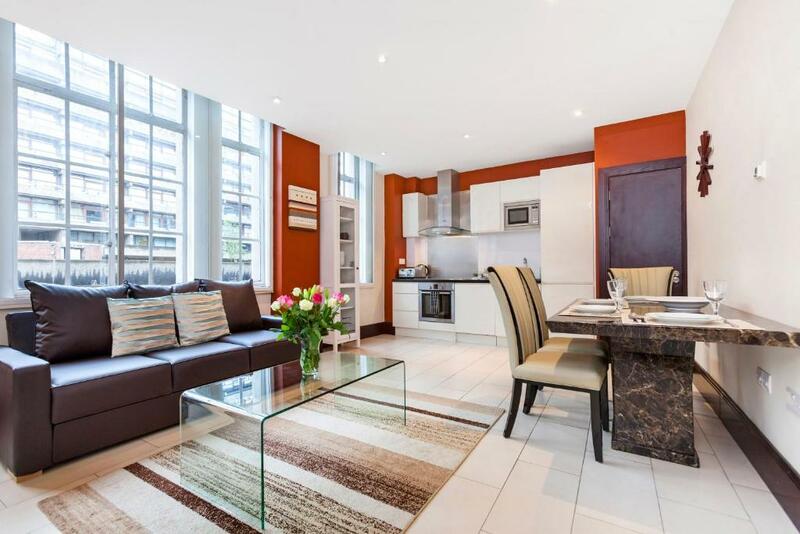 Lock in a great price for Club Living - Barbican Apartments – rated 8.2 by recent guests! One of our best sellers in London! Offering free WiFi and city views, Club Living - Barbican Apartments provides accommodations located in London, just an 18-minute walk from St Paul's Cathedral. Offering private parking, the 4-star apartment is 1.3 miles from Somerset House. The 2-bedroom apartment comes with a living room with a flat-screen TV with satellite channels, a fully equipped kitchen, and a bathroom with shower. Sky Garden is 1.4 miles from the apartment. 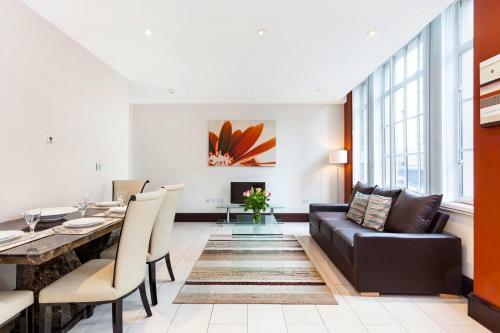 The nearest airport is London City Airport, 8 miles from the property. City of London is a great choice for travelers interested in history, city trips and city walks. 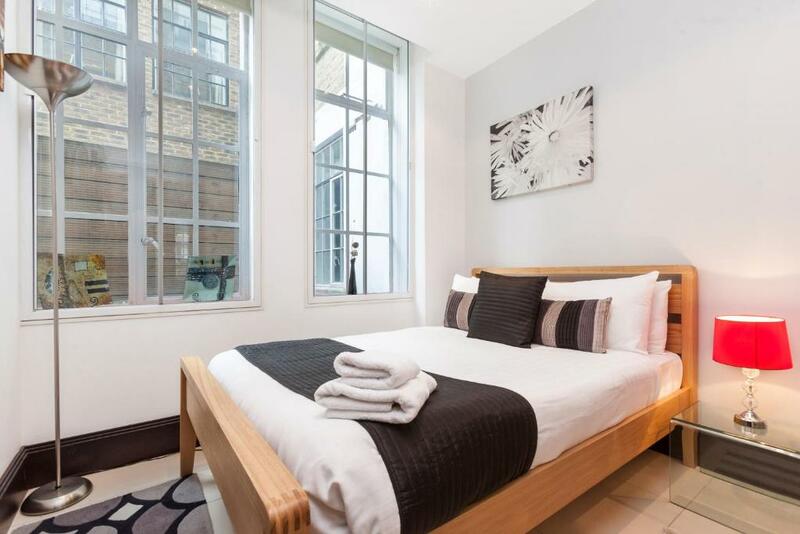 뀐 Located in the real heart of London, this property has an excellent location score of 9.1! When would you like to stay at Club Living - Barbican Apartments? 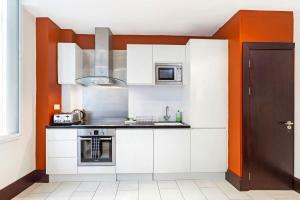 This apartment has a oven, kitchenware and kitchen. 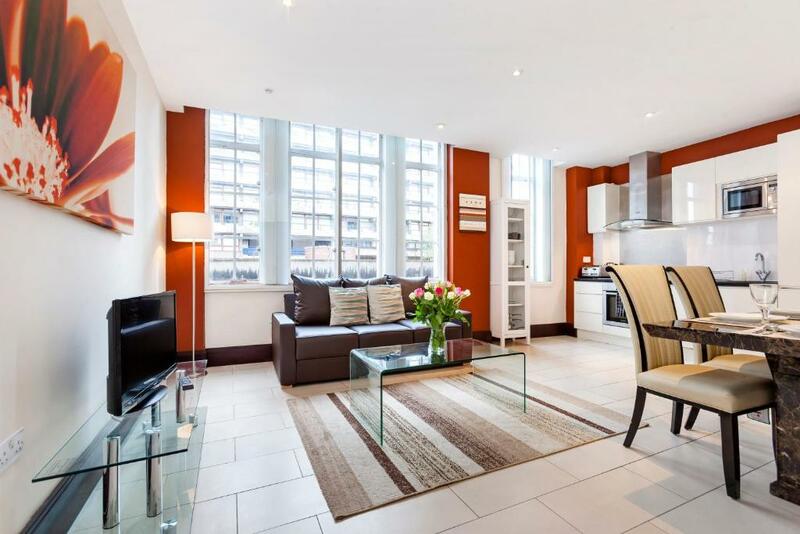 Welcome to our lovely place in the City of London! 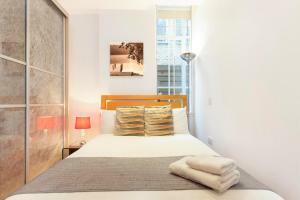 You'll be staying in a great Central Location close to some of the best London attractions. The famous St Paul's Cathedral, Barbican Centre & Museum of London are all a short walk away. 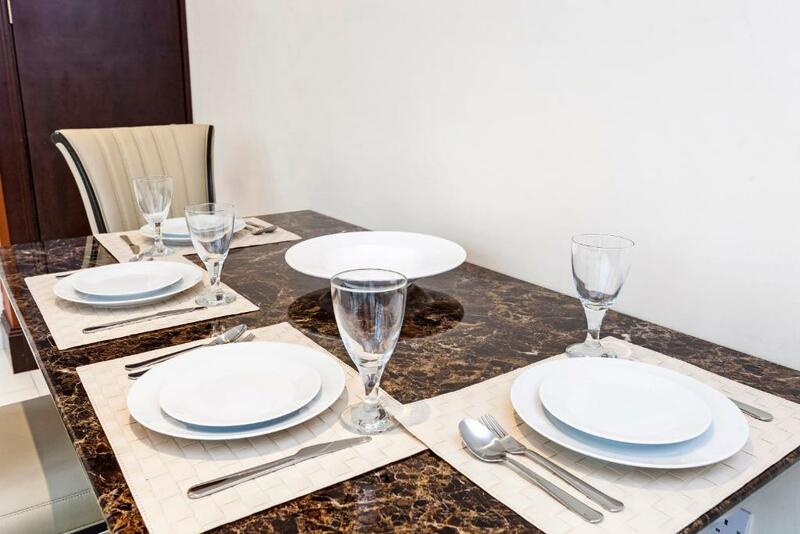 Our bright, spacious and modern 2 bedroom, 2 bathroom apartment has all the comforts & amenities of home. We are Hostmaker, an award-winning international home rentals management company offering a premium service including hotel-style housekeeping, an in-person welcome and and a locally curated welcome pack for our guests. Hostmaker has been selected by Marriott International as their partner to manage homes under the brand - Tribute Portfolio Homes. 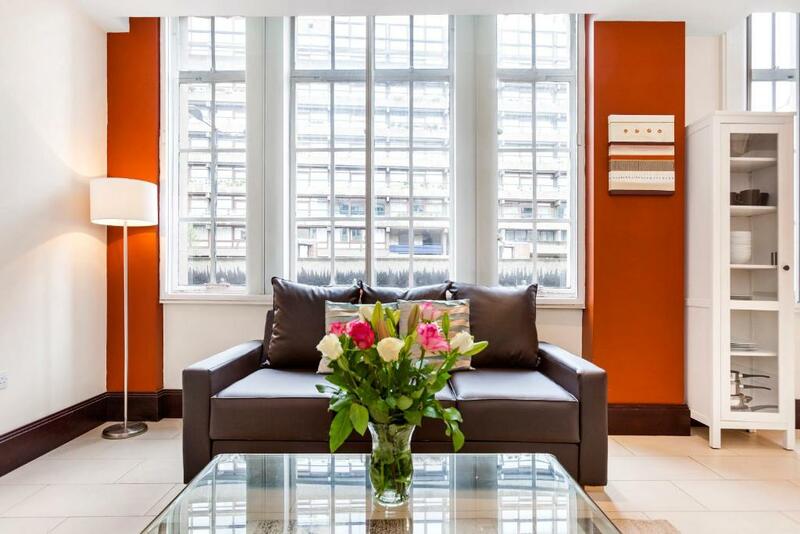 We are here for you every step of your journey, from booking the flat to ensuring you have a great stay. Please get in touch with us for any questions relating to your reservation, we are happy to help! Our Central London apartment is perfectly-placed for walking to many of London’s best sights, including: Barbican Centre (20 metres) Museum of London (6 minutes) St Paul's Cathedral (10 minutes) Guildhall Art Gallery (10 minutes) Liverpool St. Station (15 minutes) River Thames (15 minutes) Spitalfields Market (20 minutes) The Tesco Supermarkets is 20 metres from the apartment. There are many fantastic restaurants, cafes, bars and London pubs within walking distance. You will be spoilt for choice and won't have to travel far when it comes to eating and drinking. You are also within quick and easy access via public transport to: - Many museums - London's West End Theatres - The City of London - Shoreditch - London's West End, including Covent Garden, Piccadilly, Leicester Square, Soho, Chinatown You are close to many excellent transport links: Stations: Barbican (1 minute) Farringdon (5 minutes) St Paul's (10 minutes) Moorgate 10 minutes) Liverpool St. Station (15 minutes) There are many bus routes outside - so you can enjoy the views of London while riding one of London's famous double-decker buses. House Rules Club Living - Barbican Apartments takes special requests – add in the next step! Club Living - Barbican Apartments accepts these cards and reserves the right to temporarily hold an amount prior to arrival. Kindly note the guest is liable for any damages made to the property by themselves during their stay, and will be charged for damages if necessary. If the guest who made the booking will not be present at check in, the arriving guest will need to contact the property within 48 hours after booking to request approval for a third party reservation. The booker and arriving guests must be over the age of 23. The card used to make the reservation must list the same name of the arriving guest. If these details differ, then additional verification information must be sent within 48 hours after booking. Please note that all fees are payable in cash upon arrival. The check in was a bit of a mess. The taps in the apartment all leak. The furniture in the lounge is old but okay. The location is fantastic. It is right next to Barbican metro station and across the road from a Virgin Active gym. Barbican metro goes directly to Paddington Station, so super convenient. this accommodation was over 200% better than the previous one our lads had been booked in, 5 star luxury is an understatement. we had a cracking deal through this site, which help keep down the costs.